A stellar line-up of New York based musicians will perform in support of the cause. 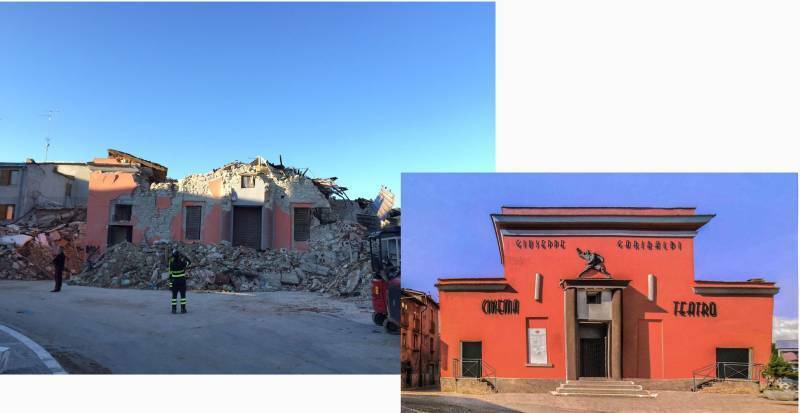 Musicians infact decided to devolve the income of fundraising for the victims of the earthquake to the following crowdfunding campaign amatrice for the reconstruction of the Teatro Cinema Garibaldi in Amatrice (one of the small towns the earthquake erased from the map). The campaign is organized by two associations of Italian jazz musicians: Associazione I-Jazz (http://www.i-jazz.it/) and MIDJ-Musicisti Italiani di Jazz (http://www.musicisti-jazz.it/website/). It is intended to raise money to help the reconstruction of the Teatro Cinema Garibaldi in Amatrice (one of the small towns the earthquake erased from the map). 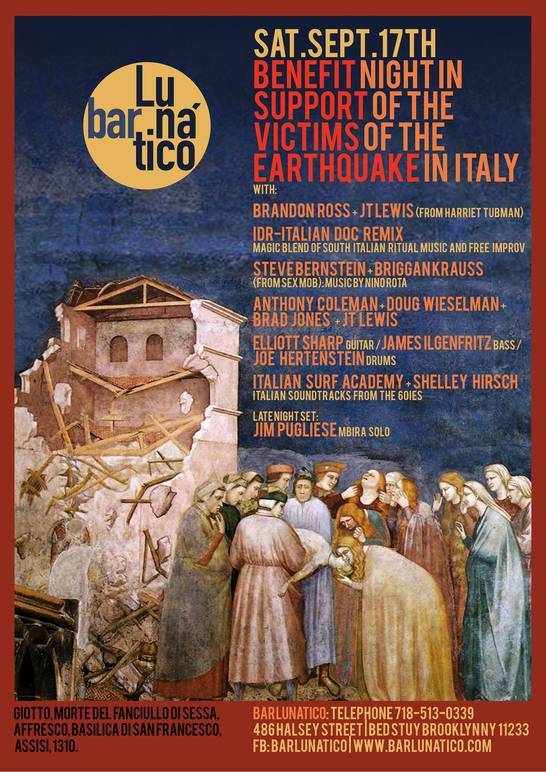 - www.barlunatico.com) - the intimate/magic music venue which is gaining an high reputation in the New York song writer/jazz music scene - in collaboration with Italian guitarist/composer Marco Cappelli has organized a night in support of the victims of the recent earthquake in Italy. A stellar lineup of avant-jazz New York based musicians - usually touring in the most prestigious international festival scene - will perform in support of the cause, in 7 sets. This will be a great night of music and solidarity not to be missed! The usual suggested donation is $10, but an upgrade to $20 is strongly recommended for this specific cause.